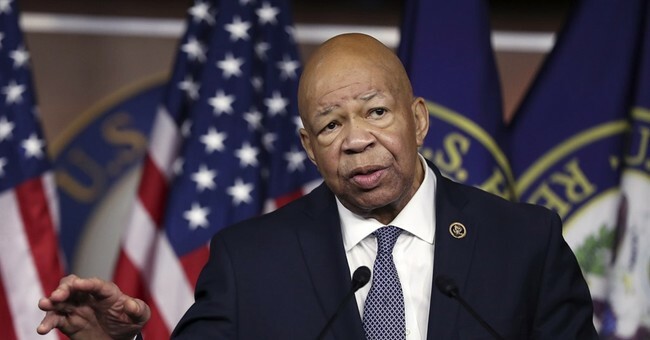 Rep. Elijah Cummings (D-MD) released three documents Thursday as part of the Oversight Committee's investigation into former national security advisor Lt. General Michael Flynn. The documents include a 2014 letter the Defense Intelligence Agency (DIA) sent to Flynn warning against receiving payment from foreign sources without permission and an April 11th letter revealing that the Inspector General for the Department of Defense has launched its own investigation into whether Flynn received prior approval before accepting foreign payments. The October 2014 DIA letter obtained by the Oversight Committee explicitly warned Flynn "if you are ever in a position where you would receive and emolument from a foreign government, be sure to obtain advance approval from the Army prior to acceptance." Flynn was forced to resign from his position as National Security Advisor after he failed to disclose information about his communications with the Russian Ambassador to the United States. The letters come just a couple of days after Cummings and House Oversight Committee chairman Jason Chaffetz (R-UT) said Flynn may have broken the law because of his failure to disclose payments he received from RT-TV, a Russian news station. Flynn's attorney responded to those claims earlier this week saying Flynn "briefed the Defense Intelligence Agency, a component agency of (the Defense Department), extensively regarding the RT speaking event trip both before and after the trip, and he answered any questions that were posed by DIA concerning the trip during those briefings." Cummings slammed the White House in a press conference Thursday following the release of the documents. "I honestly don't understand why the White House is covering up for Michael Flynn," he said. "I don't get it, after the President fired him for lying — they should be bending over backwards to help us. It does not make any sense and it makes the American people think they have something to hide. There is a paper trail that the White House does not want our committee to follow it." Chaffetz sent a letter Thursday to the Acting Secretary of the Army asking for a final determination on whether Flynn violated the law in accepting foreign payments.